Posted on February 7, 2019 at 9:27 am. Plumbing emergencies can occur at any time and result in a huge mess in the home. Homeowners can take as many preventive steps as they want, but that doesn’t ensure that they will be able to avoid plumbing emergencies altogether. Emergency Plumbing Repair in Chattanooga, TN, recommends some steps that you should take when you face an emergency and some things you should avoid. However, before learning about that you must know exactly what a plumbing emergency can look like. This will allow you to take immediate action in order to prevent any further damage to the structure of your home or belongings. Some common plumbing emergencies can include gas leaks, running toilets, burst pipes, frozen pipes, clogged drains, wastage odor, leaking pipes, or leaking taps. Here are some things that you must avoid and do in order tohelp you deal with any plumbing emergency situationin an effective manner. Most people tend to panic whenever there is a plumbing emergency, and staying calm can be easier said than done. However, panicking will definitely cloud your judgment and make things significantly worse. Try to collect your thoughts and take several deep breaths if you feel the panic settling in. If you try to do your best to stay calm, you will definitely be able to deal with any plumbing emergency easily. The first step that you need to take is to shut off the main water supply to the house. This will prevent flooding of the home if you are facing a huge plumbing emergency. It will make the job for services of emergency plumbing repair in Chattanooga, TN, easier since they won’t have a huge mess of water to deal with as well. It will also save you a lot of money which would have gone to pay the huge water bill you would have gotten from all the water waste. If you can’t find the main water supply or think that you won’t reach it in time, then it is a wise option to shut off the local supply. Valves under the sink or behind the toilet can be closed to shut off the water supply in that area. 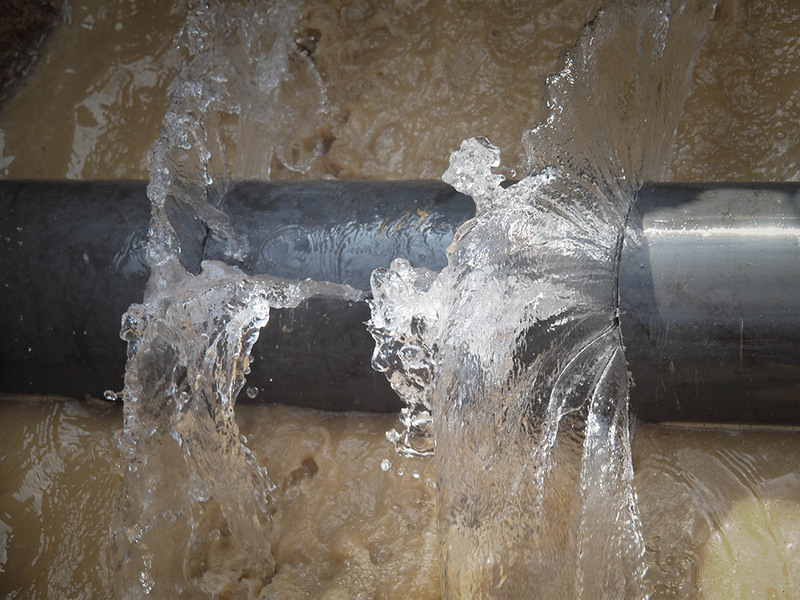 This isn’t usually possible for a pipe burst in irregular places. To prepare for a plumbing emergency, it is always a good idea to learn about the exact location of the main supply valve. If you know where it is, you will be able to switch it off before more damage occurs to your property. A lot of homeowners become so preoccupied with trying to do damage control that they forget to call the plumber at once. instead, you should clean up after you have contacted the plumber since that will considerably reduce the extent of water damage to your home. It is important to call emergency plumbing repair in Chattanooga, TN, and not regular plumbers. The latter will take too much time to arrive and may not come prepared with an emergency plumbing kit. The former will actually be ready for any kind of quick repairs that can solve the situation quickly. They will also be trained in emergency cases and inform you if the situation is too dangerous for you to stay in the house. In situations like gas leaks, it is important to listen to the professionals since that can potentially save your life. A plunger so that you can unclog your toilet or kitchen sink easily. Do make sure that you have a separate one for the sink and another one for your toilet. Disposable gloves can come in handy when you want to avoid the mess from toilets or drain lines. A bucket will help to avoid water wastage from leaking pipes or taps. Even while working on the faucet, you will be able to avoid a mess by placing it under the tap. A flashlight will make your life a lot easier. It comes in handy when you want to inspect the plumbing system. Plumber’s tape is the best way to repair small leaks. You can even use duct tape for a temporary fix until the services for emergency plumbing repair in Chattanooga, TN, arrive. Adjustable wrenches can loosen or tighten the bolts, pipes, nuts, valves, and junctions in your plumbing system. A pair of pliers to hold your project together while you are working on it. This plumbing kit will allow you to fix most minor emergencies. However, if you are facing these small problems regularly, it is probably a good idea to call a plumber to inspect your plumbing system and repair any problems that it may have. This will give you some peace of mind since your plumbing system will be in the most efficient and effective condition possible. You may be able to do some small things, but if you don’t have the proper knowledge, you should never try to fix the situation. Sometimes, it is best to let the professional services providing emergency plumbing repair in Chattanooga, TN, handle the problem. Big problems such as burst pipes or gas leaks can’t be completely fixed by an amateur, which is why you should not opt for one to save on costs. They can pose a danger to your health, as well as to the structure of your home, which is why it is best to let professionals like Metro Plumbing, Heating and Air handle it.